A poster by Laura Knight, who worked through both world wars and is one of Britain's most celebrated artists of the second half of the twentieth century, will be the centrepiece at a specialist poster auction across the pond. Swann Auction Galleries of New York, a well-known poster specialist, is to offer a colour lithograph of The Yorkshire Coast by Laura Knight, who was the only female artist to be commissioned as an official war artist in both world wars. The poster, which Knight produced in 1929 in the same the year that she was made a Dame, is to be a 'highlight' in the American auction house's Rare & Vintage Travel Posters sale on 27 October, and will be offered with an estimate of $4,000 to $6,000. Knight, who designed posters from 1921 to 1957 for a variety of institutions, including seven for London Transport and a 1939 recruitment poster for the Women’s Land Army, in 1936 became the first woman ever elected to the Royal Academy. 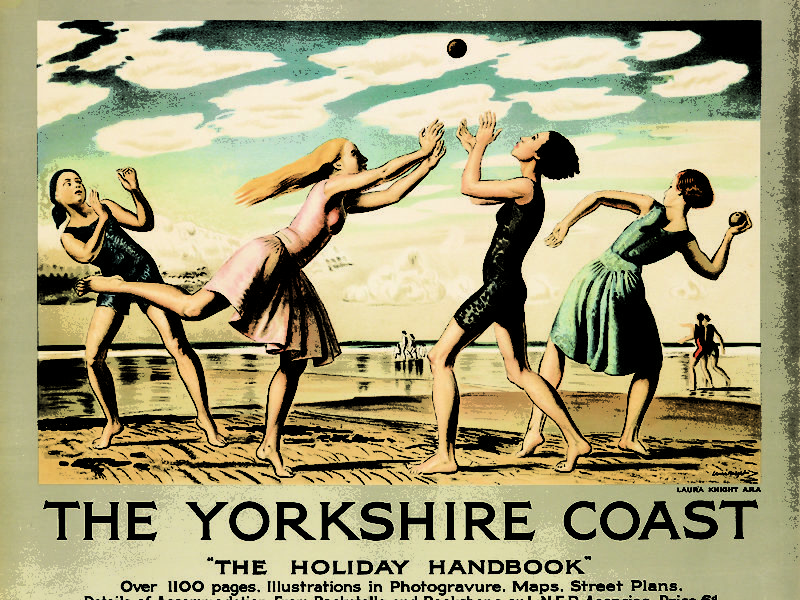 A signed copy of the poster, which was originally used to promote the London and North East Railways’ travel guide, The Holiday Handbook, can also be found in the Victoria & Albert Museum’s collection.